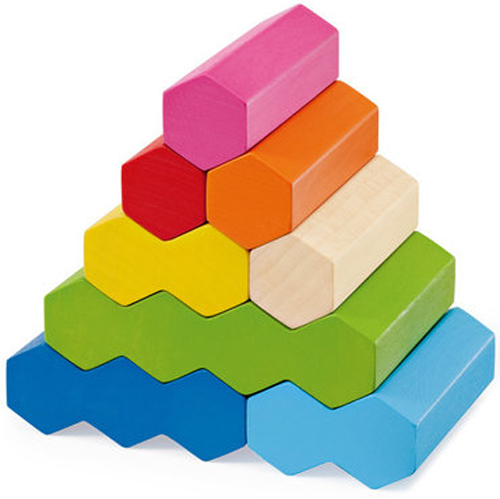 Build ’em up, build ’em up, build ’em higher – whether they be used as building blocks or used purely for stacking – this is one toy that is pure joy to look at. Colourful toys have always drawn me in. If it’s fun, but still looks fabulous when packed away on the shelf, I figure both my child and myself are winning. That’s what you get with the Selecta Colour Stack toy. Each horizontal rod nestles in nicely to the next one, allowing them to be gracefully stacked on top of each other. As building skills develop, children can turn them on their ends and test their balancing and stacking skills. 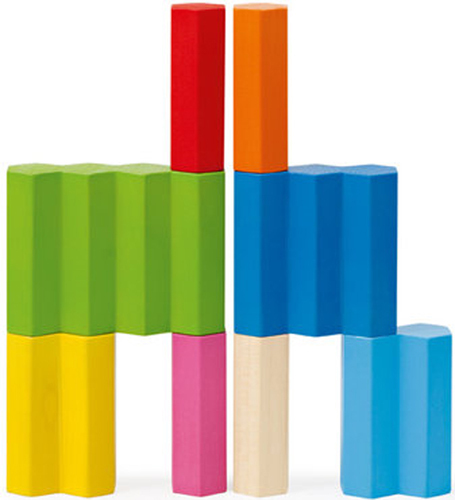 The Selecta Colour Stack Toy is £17 and available from Bebemoda.